One of the better kids games that I’ve played since….well…I was a kid. Usually movie tie in games are pretty bad. Remember Street Fighter: The Movie: The Game? No? Count yourself lucky as nobody else should either. Most of these games suffer by trying too hard to be exactly like the movie without actually having the movie to base it off of. 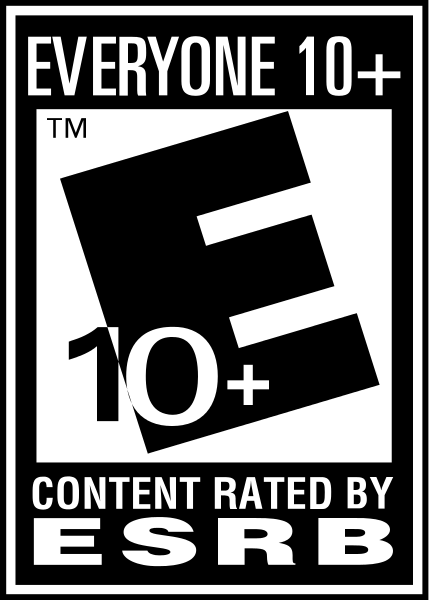 There are some exceptions, but those are few and far between. 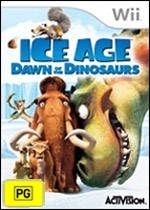 Thankfully Ice Age: Dawn of the Dinosaurs is a light hearted romp with a multitude of varied gameplay that will give any child hours of entertainment. Will the Game Fuel-swilling Halo and Madden crowd enjoy this game? No, but that’s not who the game is for. Ice Age: Dawn of the Dinosaurs reunites fans with Scrat, Sid, Manny, and Diego in an all-new quest based on the upcoming film from Twentieth Century Fox. During the game the gang comes across a mysterious lush wilderness that has somehow escaped the Ice Age and is still thriving with Dinosaurs. This story is presented as cave drawings, and narrated by Sid and Diego to the young children of Manny, and is sort of disjointed at times. The story jumps around the timeline a bit, rather than following the film's linear narrative, making it confusing for people (such as myself) who haven't yet seen it in theatres. One thing that I liked about the game was that, although it is for kids, it retains the sharp writing found in the movies themselves, making it bearable for an adult to play the game. Some kids games almost talk down to the target audience so much that adults may not want to be within a 200 mile radius of said game, much else play it. Easily the best part of the game lies in its varied and ever changing gameplay, which keeps the game fresh. These gameplay types range from a side scrolling game as Scrat the squirrel, a Crash Bandicoot clone (think Crash of the Titans) as Sid the Sloth, Dogfights as Buck the Weasel riding on a Pterodactyl, and an adrenaline pumping race to pounce on a gazelle of some sort as Diego. I won’t go into specific controls (i.e. button configurations), as we have a numerous amount of control types for each game play segment and each minigame, but all of these games are well-thought-out control-wise, and work well for what they are. Sadly most of the unique methods to control the characters are somewhat short lived, and only occure once or twice in the game. These adventures last over fifteen levels, and add up to something like 5-6 hours of gameplay, but I’d expect the game to take longer for a child. The only real knock that I can think of against the gameplay itself is that it is incredibly easy at all times, and a varied difficulty setting would have been awesome. At various points in the game you can trade the fruit that you collect as some sort of in-game currency for various items at a shop statue. This usually equates to minigames and other small unlockables like a music test or scenes from the movie. If you are into the minigames, these can really pad out the relatively short playtime, and would be really fun for kids. 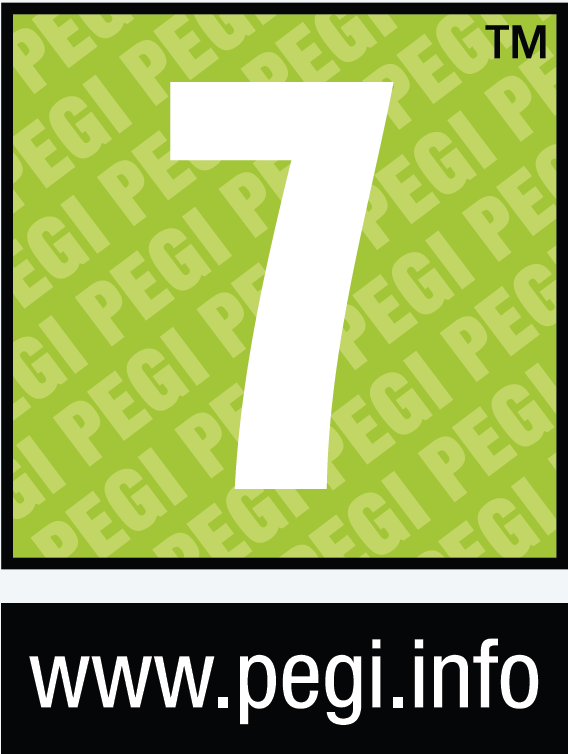 These minigames are also comprise the game's multiplayer, and allows up to four players to have fun together. This area is set up similarly to the Rayman: Raving Rabbids series or the minigames in Mario Party, and are fun for a little while, but lack depth or real motivation for continued play. The Graphics in Ice Age are above average, and show quite a bit of detail. The renders are finely detailed, and have quite a bit small accents going on. For instance, on the character design for Manny, every hair, crack in his tusk, and eye shimmer is polished to the most minute detail. Obviously the character graphics don’t look as good as the movie, but I’ll go out on a limb and say that they look as good as the original film from six or so years ago. That may not sound too crazy, but it’s a great achievement for an in-game model. The rest of the graphics are also pretty impressive, including falling snow, wisps of wind and other little details that may not seem like much, but together really push this game above and beyond the effort put into most licensed games, or honestly any games for that matter. The sound and voice work is also very well done, and almost all of the actors from the movie reprise their roles. Dennis Leary is the only one that is absent from the game, and it's easy to notice, but his fill-in is close enough for it not to really matter. Others like Ray Romano, the voice of Manny, are in the game. It's very hard to place a value on Ice Age. In my honest opinion, this is one of the better kids games out there, as it teaches values like friendship and stays action packed, two things not often seen together in games. Usually, in these other “kids” games, there is a tendency toward crude humor, or far-too-small bursts of ADD game play to really make a kid think. This game makes a child constantly learn new control schemes and pay attention to objectives, which is good. For non-children, the game is fun, but lacks the real challenge that similar games like Crash Bandicoot: Mind over Mutants has, making this a "rent it" situation. It is slightly cheaper than other games as well, which makes it that much sweeter. 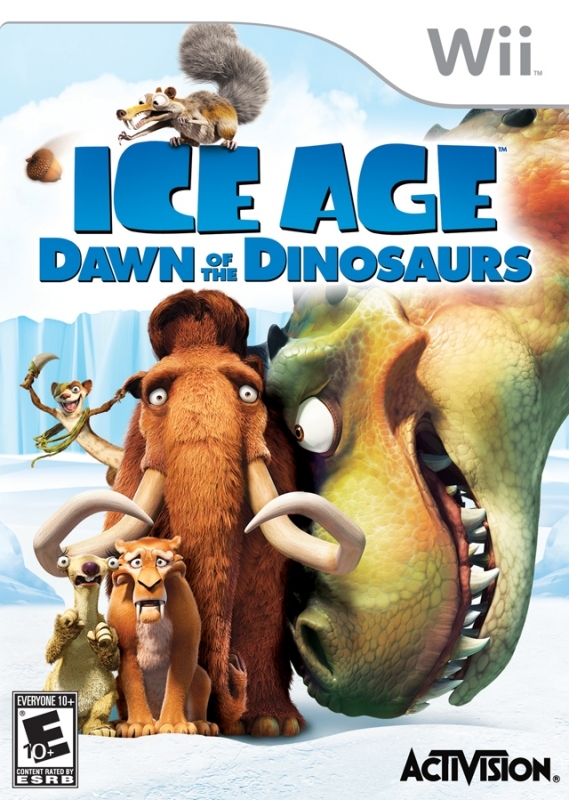 In conclusion, Ice Age Dawn: of the Dinosaurs, isn’t perfect, but as a movie tie-in, it stands well above the rest when it comes to competent level design, graphics and voice work. You can really tell that a lot of effort went into this game. The game does have a few faults, such as the short playtime, somewhat vapid minigames and multiplayer, and a confusing story for those who have not watched the movie. For the target audience, this will not matter, and any child should have fun with this game.